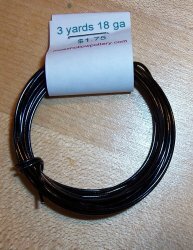 39 feet of 12 gauge anodized aluminum wire is enough to make several focal elements or 2 bracelets. 3 yards of very, very soft pliable wire. Great for use in braided wire projects. Also used to stabilize circles and add decorative elements to Continuous Circles projects. 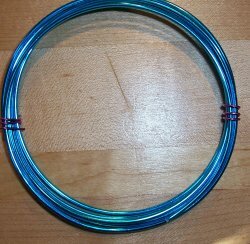 2 yards of 12 gauge anodized aluminum wire is enough to make several focal elements or 2 bracelets. 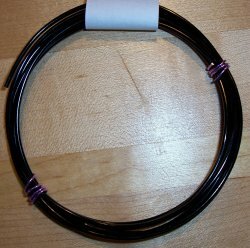 39 feet of 12 gauge diamond cut anodized aluminum wire is enough to make several focal elements or 2 bracelets. 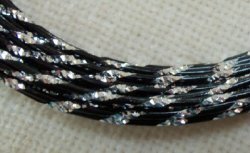 2 yards of 12 gauge diamond cut anodized aluminum wire is enough to make several focal elements or 2 bracelets.